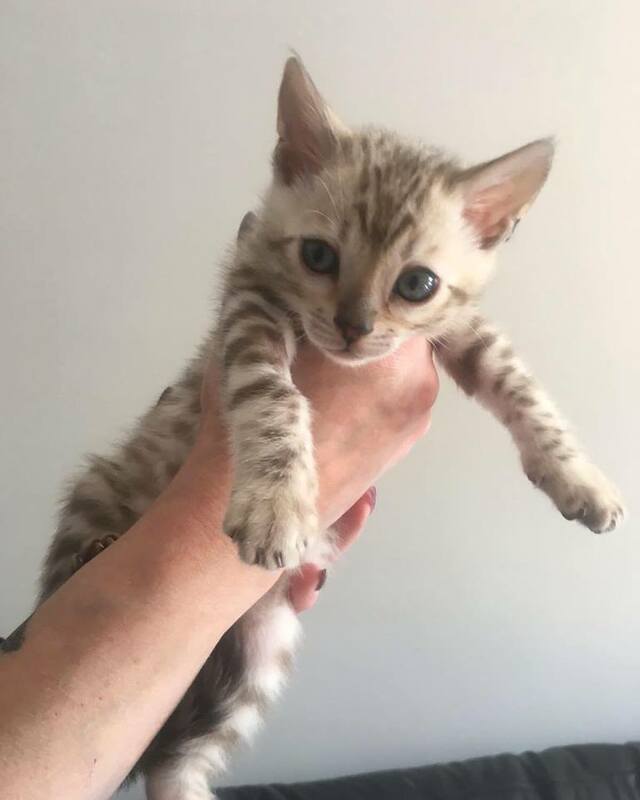 This beautifully marked snow mink TICA registered Bengal boy is now available as a pet. 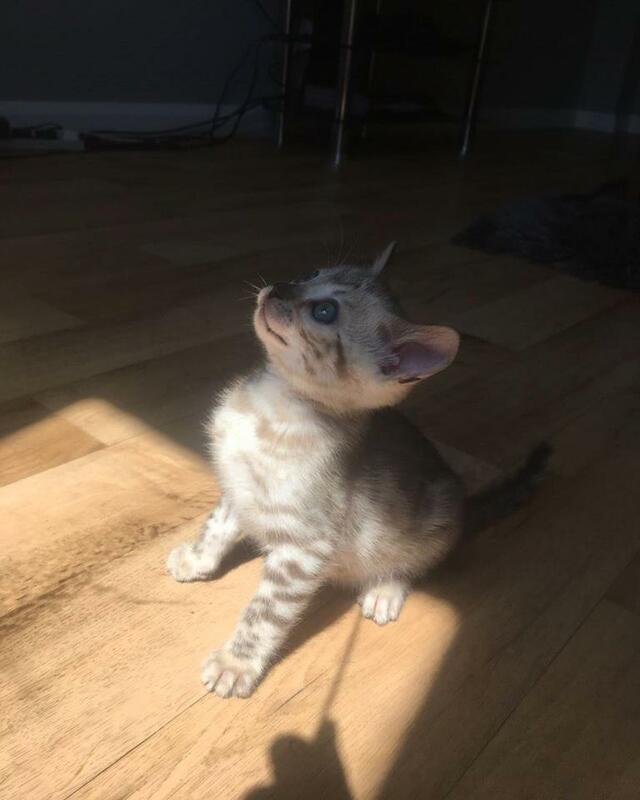 born on the 21st of march this stunning boy is 8 weeks old and is available for viewing and reservation. He is a very sweet boy and is very playful and confident! He is brought up in a loving family environment and is well adjusted to children and family life. 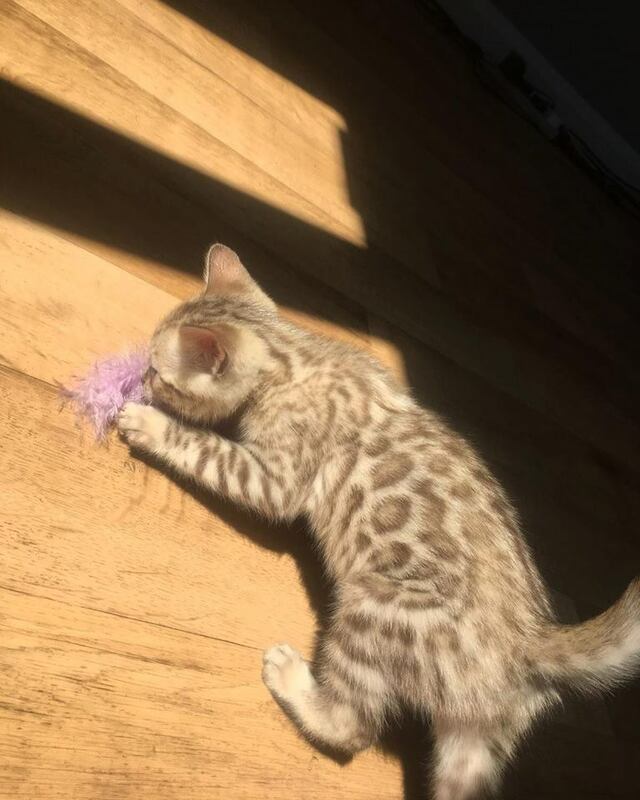 He will be ready to go to his new home at 13 weeks, as sold as a pet he will be neutered prior to leaving. His price is £800. He will be TICA registered with full pedigree and will be fully vaccinated, de wormed, flea treated and vet checked twice. 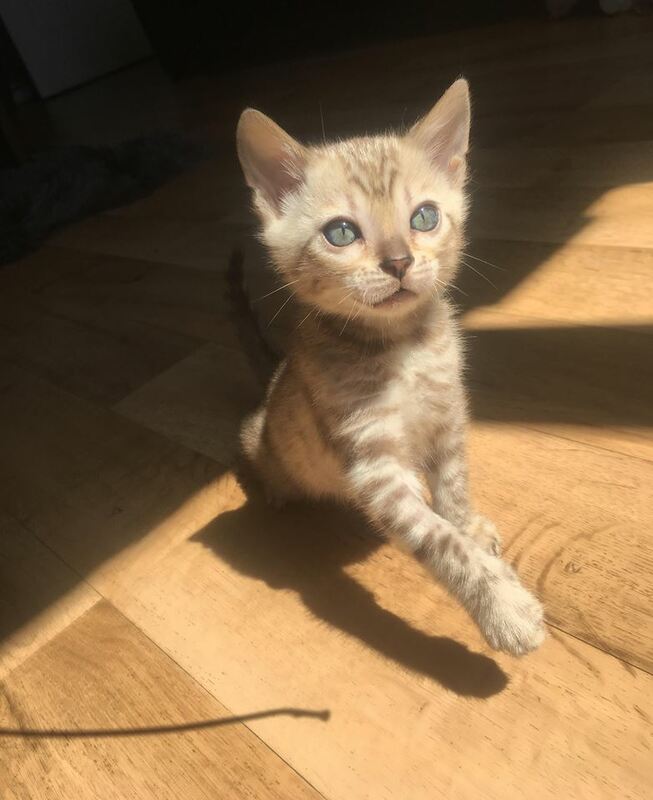 He will also come with 4 weeks free pet insurance and a royal canin kitten pack as well as our very own kitten starter pack. He is pk def n/n and pra/b pending. Microchipping available on request. A non refundable deposit of £200 will secure him and will be deducted from the balance remaining. Mum and Dad available to view. 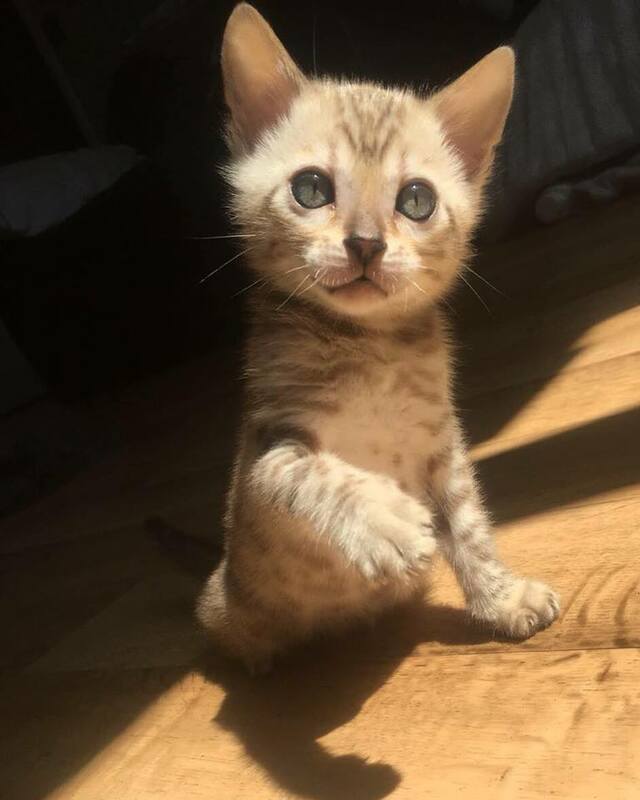 Please feel free to message for further information or find us on facebook at Tahleesi Bengals.